Outdoor learning environments (OLEs) stimulate the diversity of children’s play experience and contribute to their healthy development. Best practice design of OLEs incorporates trees, shrubs, vines, flowers, grasses, edible fruits and vegetables—to connect children with nature and diversify their outdoor experience. 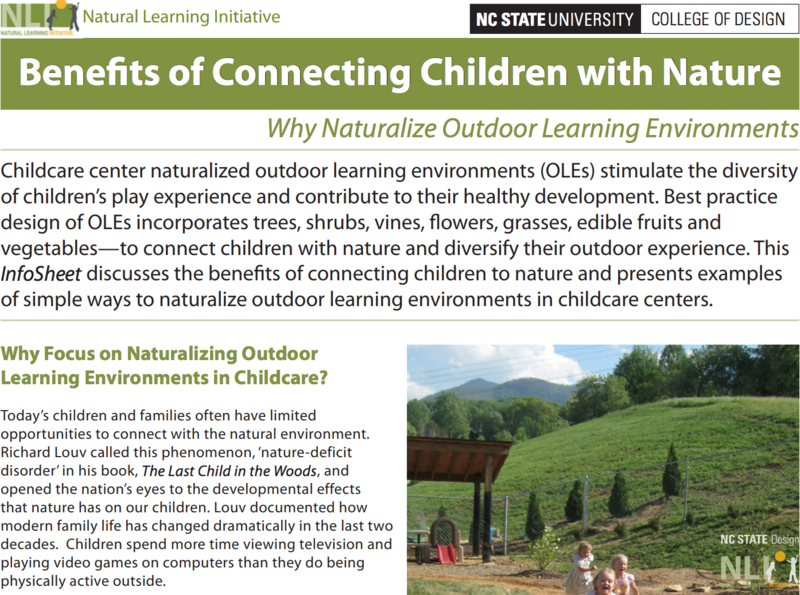 This InfoSheet discusses the benefits of connecting children to nature and presents examples of simple ways to naturalize outdoor learning environments in childcare centers.